Organizational leadership is a field that focuses on both the individual and the group at the same time. It also involves certain tools and techniques that empower individuals to assume any leadership role at any organizational level. Below introduces this innovative approach to management. The ultimate goal of organizational leadership is to understand individuals in order to bring everyone together. As a result, employees feel valued, express their opinions and remain loyal to the organization. Organizational leadership involves management inspiring others, overseeing operations and providing goals. However, there is no set standard for how this can be accomplished. Managers with organizational leadership skills and education can become business leaders in different industries. Certain industries heavily rely on organizational leaders to reform and facilitate change. For example, the investment and banking industries rely on organizational leaders to aggressively deal with volatile market conditions and changing government financial regulations. On the other hand, manufacturing companies struggling with poor profits and efficiency often turn to organizational leaders to oversee mergers and acquisitions. In addition to this, organizational leaders also work as human resource and employee education directors. Even higher learning institutions need top level administrators to oversee curriculum and program development. What Skills Do Organizational Leaders Possess? Organizational leaders must have a wide and flexible worldview that embraces and actively searches out different ideas and solutions. Having a receptive worldview means that the leader will be able to successfully unite employees and incorporate unique management practices into the company. Organizational leaders should also understand how to build and maintain core competencies through developing talents, increasing knowledge and improving skills. Lastly, they must have excellent cross-medium communication skills that allow them to inspire and problem solve. What Subjects Do Organizational Leaders Study? Organizational leaders received advanced management training covering an assortment of topics. Organizational leaders must understand leadership theories within the modern context. That is, they must learn how diversity, technology and new theories are changing traditional management approaches. They must also master creative and critical thinking skills. This involves understanding cognitive processes and paradigms while learning how to think outside the box. Organizational leaders should also understand how to analyze organizational strategies and re-design according to the needs of the current market. Finally, organizational leaders must also have technical training in statistical research designs, methods and data analysis. Understanding qualitative research will enable them to utilize data analytics for improvement purposes. Traditional approaches to management typically rely on control and authoritative structure, according to Forbes. 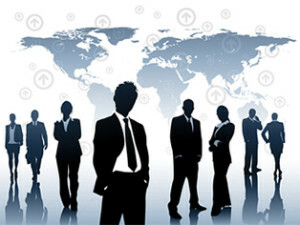 However, organizational leadership involves the application of creative techniques and innovative solutions. For example, Leader-Member Exchange approach tries to create a better working relationship between management and employees. First, the leader assesses the employee’s skills and experience during role taking in order to learn how the employee can best serve the company. Next, the leader and employee develop the role together. Finally, the employee’s duties become routine as management continues to support them. On the other hand, organizational leadership also involves constructive problem solving with poor employee performance, marketing changes and internal problems. For example, Best Buy used their Results-Only Work Environment (ROWE) to empower employees to telecommute or choose their work time. To review, organizational leadership is a unique management art and science that enables leaders to understand individuals and bring groups together. Organizational leaders apply their specialized training across different industries. Organizational leaders are creative problem solvers that excel at facilitate companywide changes and improvements.